Across the globe, there are thousands of different games based on the same fifty-two cards. 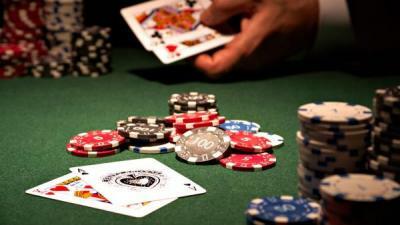 From Blackjack to Baccarat to Bridge, there are many that have come and gone in popularity. Nonetheless, few have had the same staying power as Texas Hold’em style poker. 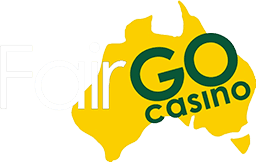 Portrayed in the James Bond film Casino Royale and watched by countless during the World Series of Poker, this game is the must-know of anyone interested in gambling. 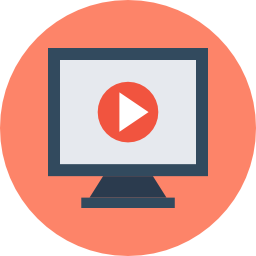 The best way to get going is to practice online and the following guide will explain the basics of the game to make sure you have the tools necessary to stay in the game and maybe even win a few bucks. A standard fifty-two card deck. Chips. You exchange your money for a certain number of chip with each chip being worth a certain amount. Time. A good game can last several hours with players choosing to buy back in or not so don’t expect to cram all the play in under an hour. 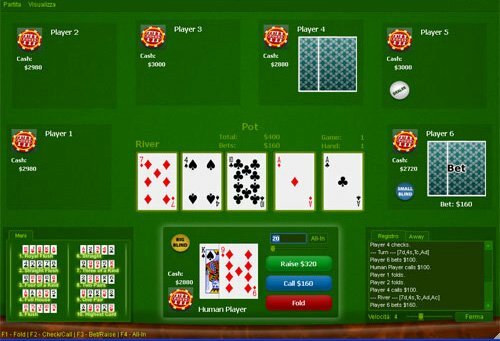 The Rules of Hold’em will seem a little tricky at first, but even novice players get the swing of things quickly and Hold'em is a great start to learning all kinds of poker variations. The object of the game is to make the best five card hand possible. 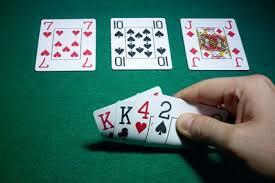 This includes all the terms you have heard before from two pair to royal flush. The minimum bet to play is set. The dealer is selected. This rotates with each hand. Each player is dealt two cards face down which only he or she can see. Using this as a guide, you decide whether it is a good idea to play or not. The little blind is seated to the left of the dealer and must put down at least half of the minimum bet regardless of whether they wish to play the hand or not. If they do not, then they simply fold but lose the chip they put down. The big blind is seated to the left of the little blind. They must put down at least the minimum bet regardless of whether they wish to play or not. 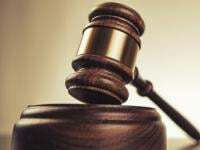 For this reason, it is usually a good idea to play even if you think you have a bad hand as you are already invested unless somebody offers a raise you do not wish to match. The other players can choose to play the hand or not. They may also raise the initial bet to play. 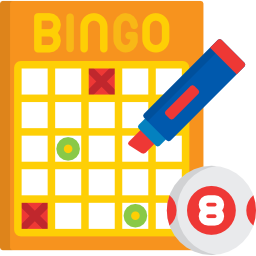 For example, if the minimum to play is ten, they can choose to put down another ten which makes the new minimum twenty to play. The cards are dealt. Two will be placed face down or burned, and then three will be shown. This is again an opportunity to either raise the stakes, check which means to stay the same or fold. If a player raises, then all must raise or fold (This is called The Flop). One more card is burned and the last card is shown. This is the final opportunity to bet, check or fold. Once this is done, the cards are shown and the winner is clearly determined (The River). Like anything, experience is key to doing well. As with any game of chance, a side of luck is always essentially as well, but a few tips will help you out. Use the first few hands as an experiment. Try to keep your bets low and use this as an opportunity to read your opponents. Are they bluffing? Try to analyze them and figure out if they have any giveaways. 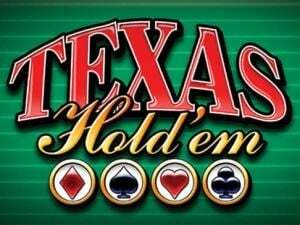 There is a lot more to Texas Hold'em poker than the basic rules an d getting great cards. So at this early stage, you'll get a better investment out of your playing time if you bet low, take some losses and concentrate on learning the poker strategies of your opponents rather than on winning each hand. Bluff at your own risk. Use some common sense. If you don’t have a certain card and you see one of its complements the table, chances are somebody else does depending on how many people you a playing with. A high-bluff may scare someone off, but never underestimate someone’s hand or the impact of that final draw card. So many hands of poker have come down to the River Card. Don’t be afraid to buy back-in. Many players for whatever reason flame out quickly, but remember the scene in Casino Royale where Bond buys back-in and ends up winning it all? Actually, Ian Flemming, who wrote the James Bond novels, was an avid poker (and roulette player), so this "fiction" is based on a fairly common reality. 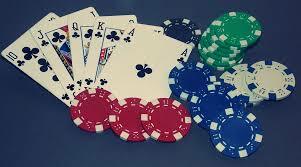 Texas Hold’em is a classic card game and currently the most widely played form of poker in the world! There is a reason why everyone from college kids to senior citizens get in on the action. It is fast-paced, dynamic and downright fun. One of the best ways to sharpen your skills so can hang with the likes of James Bond is to get some practice online. 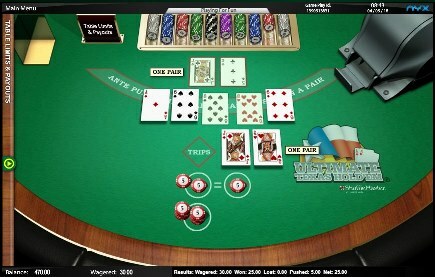 Click here to find a review of online casinos that offer Texas Hold’em and start winning today!